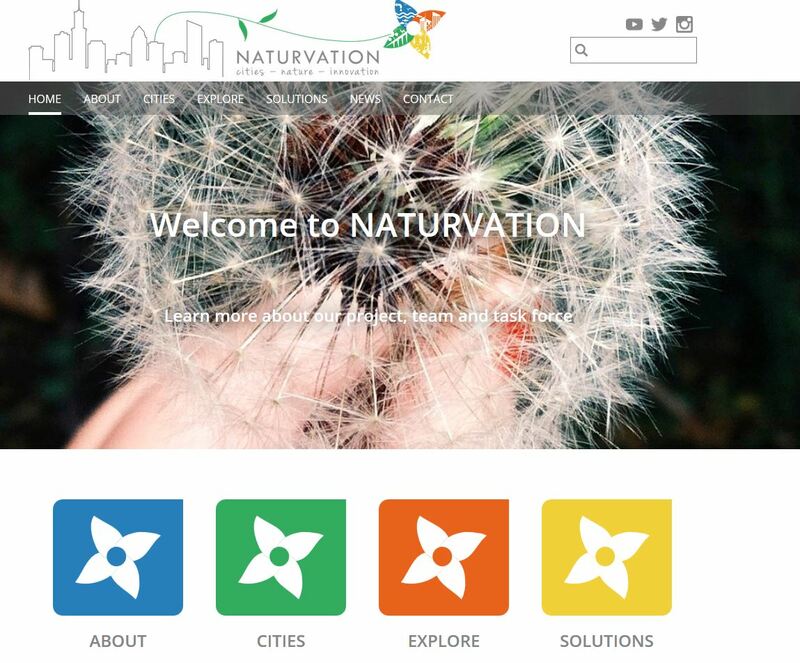 The NATURVATION Project has launched its website, which offers information on the project, nature-based solutions, six city profiles and much more. Alongside news and information about the project, the new website includes a blog, which will update readers on NATURVATION research and outputs as the project progresses. A twitter account (@Naturvation) has also been established, as well as an Instagram account (naturvation) and a YouTube channel (NATURVATION). NATURVATION is a 4-year project funded by the European Commission that seeks to develop understanding of what nature-based solutions can achieve in cities, examine how innovation can be fostered in this domain, and contribute to realizing the potential of nature-based solutions for responding to urban sustainability challenges by working with communities and stakeholders. Ecologic Institute is part of NATURVATION and involved in the research on nature-based solutions in 100 European cities, leads the policy analysis and is responsible for the development of the project website and other web-based tools.